Forging a new generation of sophisticated urbanites with a unique local identity, Chattanooga may very well surprise travelers as a small city (population: 167,000) on the rise. Since 2009, the fourth-largest city in Tennessee has invested in new infrastructure to offer one gigabit-per-second Internet speed to every home and business in the city (150,000 on the grid and counting), attracting tech startups and cash flow to the area in the process; this, in turn, has spurred a renaissance of small businesses, local commerce, and exciting eateries. Chattanooga comes to life at night with the help of some unique neighborhood finds. Across the street from the Chattanooga Choo Choo Hotel, Terminal Brewhouse occupies a sliver of a building that dates back to 1910. With a storied past housing speakeasies during Prohibition, the retrofitted gastropub is a new classic, brewing and exclusively serving their own beers (the maibock ranks among their best), and a friendly staff eager to share their love for the joint’s home-spun menu of bar classics and one-of-a-kind specials (think pizza egg rolls). 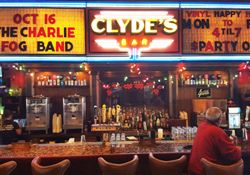 Down the street, Clyde’s on Main offers a cozy ambiance with plush leather couches, pinball-machine coffee tables, and a retro neon sign that begs to be Instagrammed. The scene picks up considerably from dinner until last call, which is 1:30 am on weekends. Bar hop across the street to The Feed Co., one of the newest entrants to the local gastropub scene, for their Jonny Be Good cocktail, made with Chattanooga Whiskey, and their winning Brussels-sprouts-and-artichoke dip. 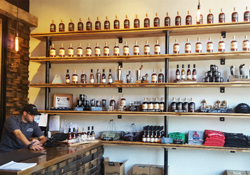 Don’t miss the opportunity to go behind the scenes at the Chattanooga Whiskey Distillery, where the local staple is produced. Forty-five-minute tours ($12) starting on the hour lead guests through the distilling process and conclude with a tasting session. Sample the featured cask of the day, served in a flight of four cocktails and two drams, and enjoy the smooth tastes of Chattanooga’s first new distillery to open in a century. If you’re expecting the same old Southern fare, Chattanooga will defy your expectations. Start your days at the Bluegrass Grill, the ever-popular restaurant that serves breakfast and lunch to adoring local fans that line up around the block daily. Whole-wheat biscuits, tofu hash, and four-cheese grits topped with avocado are just some of this small joint’s specialties. Bring your appetite to lunch at Urban Stack, where the portions are large. A long list of burger combinations amuse with pairings that include burgers topped with fried salami (The Italian), and pastrami and coleslaw (The New Yorker); no matter what you order, eat it on the outdoor patio. And when it comes to dinner, Easy Bistro brings a French twist to comfort food, with dishes such as indulgent brisket, onion soup with Gruyere, and pumpkin garganelli. 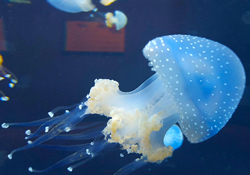 Plan to spend the better part of a day navigating the Tennessee Aquarium’s expansive complex on the riverfront featuring two separate buildings: the freshwater River Journey and the saltwater Ocean Journey, which together house a total of 12,000 animals. Start with Ocean Journey, where the Secret Reef, a 500,000-gallon tank filled with sharks, sea turtles, and hundreds of colorful reef fish, is a marvel to behold from every angle. Having seen marine life up-close, board the River Gorge Explorer, a custom-built speedboat that takes guests on a two-hour tour through the Tennessee River Gorge, known locally as the “Grand Canyon of Tennessee.” Led by a guide who narrates the ecological makeup of the area, the boat can reach speeds up to 50 mph as it cuts down the river. With a history of not being the destination, just the connector between many of America’s largest cities, Chattanooga has been a bustling train depot for well over a hundred years. As memorialized in Glenn Miller’s 1940s song “Chattanooga Choo Choo”, a trip to Chattanooga isn’t complete without experiencing a ride on the rails that made the city. About a fifteen-minute drive from downtown Chattanooga, the Tennessee Valley Railroad Museum offers the chance to step back in time onboard their daily hour-long trips to Missionary Ridge on a classic locomotive. 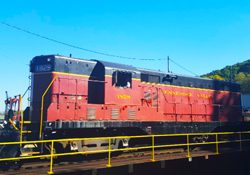 Six miles round-trip, the scenic route winds through the backwoods of Tennessee before arriving at a fully operational train yard, where passengers can watch the locomotive rotate on a turntable to head back to the station. 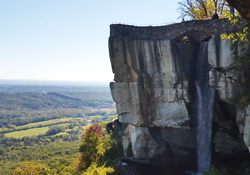 The rare tourist spot that surprises with homegrown authenticity and charm, Rock City is an essential experience during any visit to Chattanooga. Fun for the whole family, this adventurous path weaves through tight crevices, caves, and caverns on the grounds of Lookout Mountain. Incredible views of seven states await more than half-way through the hour-long self-guided walk, where lookout points offer respite with rocking chairs and a snack stand. The attraction also offers Disney-like black-light dioramas depicting classic fairy tales, perfect for kids of all ages. 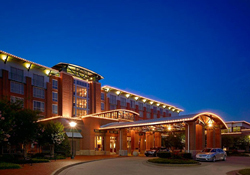 Paving the way for premiere accommodations in Chattanooga, the city issued bonds in support of The Chattanoogan Hotel in 2000–01 to offer top-tier accommodations by way of 199 rooms and space for conventions. Fourteen years later, the hotel remains the best in town, with a nightly outdoor fire pit, and three on-site restaurants. The hotel’s spa offers the perfect respite from a day exploring the city, with the Flowing River Massage among the highlights on the list of treatments.